The first three months of a calf’s life are critical as their immune system and rumen are developing. 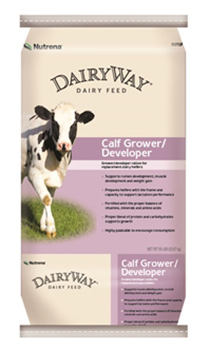 DairyWay Calf Starter is designed to optimize intake and support rumen development while calves are transitioning from a liquid diet to a solid diet. 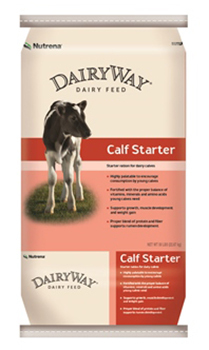 DairyWay Calf Starter provides your dairy calves with the carbohydrates and energy they need for growth and the minerals and vitamins they need for strong bones and good health. HerdFirst™ milk replacers for dairy calves are available in some geographies, click here to learn more about these products. And be sure to check with your local Nutrena retailer for availability.